A strain of hydrophobic hydrocarbon degrading bacteria TY12 was screened out of petroleum contaminated soils from Nanchong oil refinery. 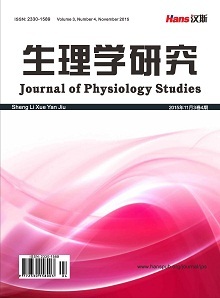 Through 16S rDNA basic sequence detection and phylogenetic analysis, TY12 was identified as Serratia proteamaculans, and then according to morphological, physiology and biochemistry characteristics, this paper has a deep study on TY12. 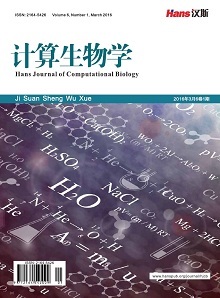 This paper studied on the cell-surface hydrophobicity of TY12 by microorganism adhering to hy-drocarbon (MATH), the results showed that the cell-surface hydrophobicity of TY12 was 52.2%, and the cell-surface hydrophobicity changed with the variation of incubation time. The n-dodecane degradation was 66.1% after TY12 was growing on in hydrocarbon degradation medium with 1% (W/V) of n-docosane at 28˚C and 180 r/min for 4 d. It had potential in bioremediation of oil con-taminated environment. 马强, 林爱军, 等 (2008) 土壤中总石油烃污染(TPH)的微生物降解与修复研究进展. 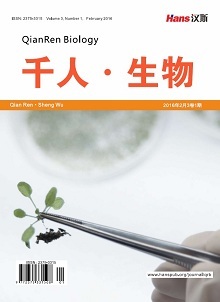 生态毒理学报, 1, 1-7. 周中文, 崔喜艳, 邵宗泽 (2014) 南沙深海沉积物中石油降解菌的分离鉴定和多样性分析. 应用海洋学学报, 3, 299-305. 王建宁, 董纯明, 赖其良, 等 (2012) 北极表层海水中氯代十六烷降解菌的多样性. 微生物学报, 8, 1011-1020. Englert, C. and Kenzie, E.J. (1992) Bioremediation of petroleum products in soil. In: Calabrese, E.J. and Kostecki, P.T., Eds., Principles and Practices for Petroleum Contaminated Soils, CRC Press, Ann Arbor, 126-128. 司美茹, 赵云峰, 苏涛 (2011) 高效降解烷烃的无色杆菌XL株的分离鉴定及其降解特性. 土壤通报, 3, 562-567. Geffers, R., Waliczek, A., Conte, V.S., Kralova, M., et al. (2013) Analysis of the microbial gene landscape and transcriptome for aromatic pollutants and alkane degradation using a novel internally calibrated microarray system. Environmental Microbiology, 15, 1016-1039. 信艳娟, 刘亚男, 吴佩春, 等 (2013) 一株原油降解菌的分离鉴定及降解特性研究. 微生物学通报, 4, 558-566. 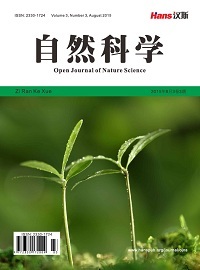 常慧萍, 杨雪, 王丁, 邢文会, 等 (2014) 高效石油降解菌BS-8产生物表面活性剂的性能. 江苏农业科学, 10, 365-367. William, G., Weisburg, S.M., et al. (1991) 16S ribosomal DNA amplification for phylogenetic study. Journal of bacteriology, 173, 697-703. Lageveen, R.G., Huisman, G.W., Preusting, H., et al. (1988) Formation of polyesters by Pseudomonas oleovarans: Effect of substrates on formation and composition of Poly-(R)-3-hydroyalkanoates and Poly-(R)-3-hydroxyalkenoates. 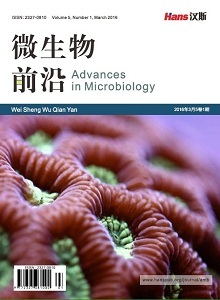 Applied and Environmental Microbiology, 54, 2924-2932. 东秀珠, 蔡妙英 (2001) 常见细菌系统鉴定手册. 科学出版社, 北京, 370-410. 中国科学院微生物研究所细菌分类组 (1978) 一般细菌常用鉴定方法. 科学出版社, 北京, 114-115, 125-127. Wang, W.P. and Shao, Z.Z. (2012) Genes involved in alkane degradation in the Alcanivorax hongdengensis strain A-11-3. Applied Microbiology and Biotechnology, 94, 437-448. Kato, T., Miyanaga, A., Kanaya, S. and Morikawa, M. (2010) Gene cloning and characterization of an aldehyde dehydrogenase from long-chain alkane-degrading Geobacillus thermoleovorans B23. Extremophiles, 14, 33-39. 陈书霞, 王晓武, 房玉林 (2006) 单菌落PCR法直接快速鉴定重组克隆. 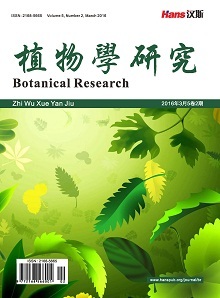 微生物学通报, 3, 52-56. 郭娜, 李志敏, 叶勤 (2011) 烷烃降解菌的筛选、鉴定及优势菌株的降解特性. 应用与环境生物学报, 4, 572-576. Rosenberg, M. (1991) Basic and applied aspects of microbial adhesion at the hydrocarbon: Water interface. Critical Reviews in Microbiology, 18, 159-173. Hamada, T., Sameshima, Y., Honda, K., Omasa, T., Kato, J. and Ohtake, H. (2008) A comparison of various methods to predict bacterial predilection for organic solvents used as reaction media. 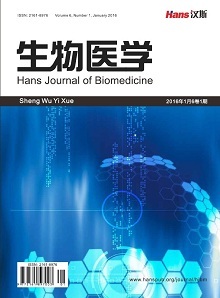 Journal of Bioscience and Bioengineering, 106, 357-362. Ahimou, F., Paquot, M., Jacques, P., Thonart, P. and Rouxhet, P.G. (2001) Influence of electrical properties on the evaluation of the surface hydrophobicity of Bacillus subtilis. Journal of Microbiological Methods, 45, 119-126.